Yesterday evening, Nour gave birth to her first litter of kittens! Two girls and two boys, all sorrel coloured. 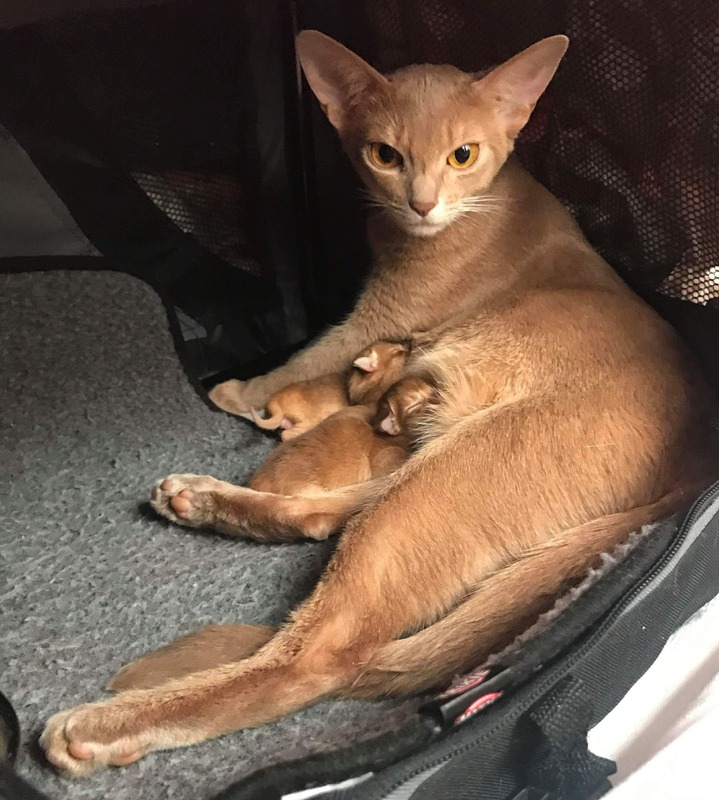 Both mom and kittens are doing well so far and, as you can see, Nour is VERY proud of her kittens. And we are very proud of Nour! She was 100% cool during the delivery and is taking excellent care of the newborns! This time, human mom Stina made it home in time to welcome ALL of the kittens into the world (yaaaay!) and Agnetha could follow the delivery live on Messenger video. Proudly presenting first-time mother: IC Abystyle’s Ma Demoiselle JW and her kids! Father of the litter is IC S*GoodNews Mandela.